To let us know about your results please mail JimC using this form. Over 200 sailors competed across the 5.3 and 4.2 fleets. Nicola Groves (sailing with Ben Saxton): 4th & 1st GBR boat. Well done to all the IBers at the Bloody Mary yesterday...biggest visiting Club with 11 boats, thanks to Gareth Griffiths (1st Aero7) Paul Playle (3rd Solo), Kiyo Wong, Kevin Seebaluck, Mike Dray, Mike Storey, Douglas Clow & Ian Hamilton, CJ Cavallari & Uta Griesenbach, Ching Wong & Elinor O'Leary, Maxi Tustain, Lily Barrett. Nicola Groves (sailing with Ben Saxton): 6th & 1st GBR boat. Nicola Groves (sailing with Ben Saxton): 6th & 2nd GBR boat. Nicola Groves (forward hand) Bronze Medal, also 1st GBR boat. Nicola was sailing with Ben Saxton. Gareth Griffiths 10th (9 Rig). Nicola Groves (sailing with Frances Peters) currently ranked 10th in the world. Nicola Groves (sailing with Frances Peters) currently ranked 3rd in the world. Conditions by all accounts unpleasant, very windy and difficult. It was cold enough here at IBRSC that weekend, goodness knows what it was like in the concrete deserts of WPNSA. Nicola Groves (forward hand) Bronze Medal , also 1st GBR boat. Nicola was sailing with Frances Peters. Nicola Groves (forward hand) 2nd. Nicola was sailing with Frances Peters. By all accounts the weather was pretty extreme and our second two teams didn't do many races. Nearly 25% of the entry didn't sail on day two! 49erXX - Nicola Groves (forward hand) 8th and top GBR. Nicola was sailing with Frances Peters. Apologies for the sudden spate of Topper results: their events have been hard to find on the web this year (note that I haven't found links at all for a couple) and Jude and Nancy have sent me a batch. many members will remember Rob Cage, 4th & John Reay, 12th. Nicola Groves (forward hand) 5th overall and Bronze Medal (Europeans), also 1st GBR boat. Nicola was sailing with Frances Peters. Mike & Sophie Storey 20th & 1st family team. With a third in the last race they also won a prize for the biggest improvement over the series! 49erXX - Nicola Groves (forward hand) 11th. Nicola was sailing with Kate Macgregor. 49erXX - Nicola Groves (forward hand) 9th. Nicola was sailing with Frances Peters this time. RS500 Grand Prix at Oxford SC. 4 Races - 4 wins for Peter and James Curtis: they won. 49erXX - Nicola Groves (forward hand) 10th. I understand the 49erFX sailors are swapping round between events in a squad system. This time Nicola was sailing with Penny Clark, who was the 2008 UK Olympic Laser Radial sailor. 40th Bloody Mary at Queen Mary Sailing Club. January 12th. This year the event attracted 312 entries! James Curtis and Harry Phelps were 54th from around 180. Mike & Sophie Storey first family boat & 9th overall. 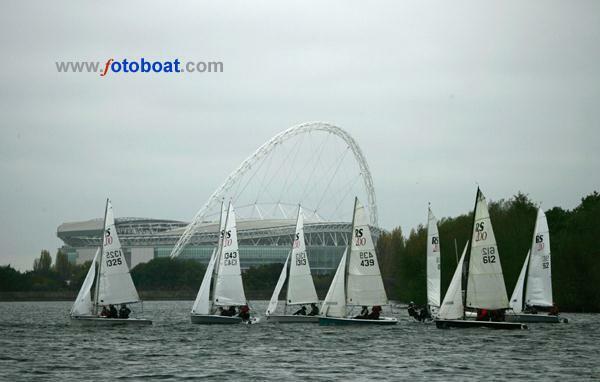 Laser Radial Masters - Grafham Water. Former member Rob Cage won this. No current IBRSC members entered. Chris Smith 27th. With 30 knots on the Saturday the two day event was dominated by those who braved and survived the mayhem. Chris was 3rd amongst those who didn't sail on the Saturday. Kevin Pearson/Nick Fribbens/Paul Armitage 1st, in a Thames Rater. Mike and Alex Storey 23rd. Extremely windy - especially on the last day when they didn't sail. James Curtis/Harry Phelps 3rd (from 91) and only one point off the win. Mike Storey & Sophia/Alex Storey 6th. 2012 Laser World Masters Championships - Radial, Royal Queensland Yacht Squadron Australia, March 17, 2012. You may not recognise the name (well, not as an IBRSC member anyway), but I understand he is one of a number of Phantom sailors joining us for the winter. Welcome! > The Winskells must have had some sort of problem because they only finished the first race, hope its nothing too serious. > Alex Groves 17th, Nicola Groves (forward hand) 20th and first all female crew. The results posted are a right mess: they seem to have merged gold, silver and bronze fleet places and I am very confused.